It would not be the Angkor Photo Festival without including the amazing children and youths of Anjali House. The two go hand-in-hand, their origins entwined. The children of Anjali House have played an integral role in the festival since its inception in 2005, and the relationship continues. This year’s Anjali Photo Workshops begin on Friday, so let us tell you a little bit about Anjali House and its involvement with the Festival and Workshops. Today, Anjali House is a Siem Reap NGO supporting more than 120 children. The organisation, registered in France and Cambodia, provides care and education to these children who were living in poverty. 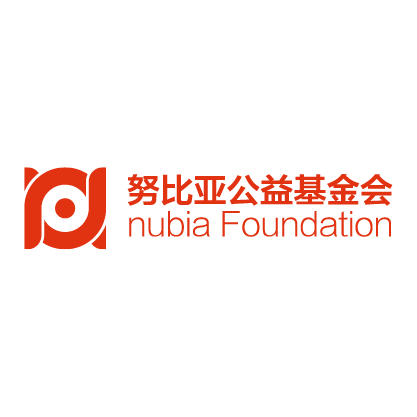 The organisation has its origins in 2005 along with the Angkor Photo Festival when a group of photographers set out to promote humanitarian issues in South-East Asia and wanted to include local people in the process. It began with a dance troupe made up of Siem Reap street children and a photography workshop instigated by Magnum photographer, Antoine d’Agata. The children were encouraged and empowered by these artistic ventures. It was such a success and made such a difference to the children that the group began to provide ongoing education and other support to Siem Reap street children and their parents. 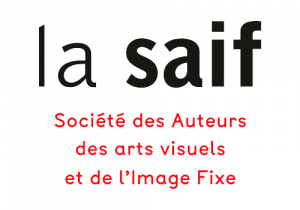 From those artistic beginnings, it has grown to become an independent organisation but has retained its close ties with the Angkor Photo Festival and Workshops. Antoine d’Agata’s original workshop in 2005 has evolved into an annual event and an has become an integral part of the Angkor Photo Festival. Armed with digital cameras, the children of Anjali House are encouraged to explore their creativity and capture images of their lives and their surroundings during these workshops. Under the guidance of volunteer photographers, they explore their world visually, photographing their homes, family, friends and environment. For 10 days they are given tips on creativity and technical knowledge and the freedom to photograph whatever catches their eye. The workshops include special excursions and many fun activities and will culminate in a public screening of their images. We’d like to extend a huge thank-you to this year’s Anjali Tutors: Paolo Patrizi, Anshika Varma, Andrea Fernandes, Sopheak Vong, Sayon Soun, Aujin Rew, Soheila Sanamno, Tanvi Mishra and Katrin Koenning. In an APFW first, we have partnered with Manulife Cambodia to enable the children of Anjali House to photograph the 21st Angkor Wat International Half-Marathon as part of the Anjali Photo Workshops. The half-marathon, sponsored by Manulife, will take place on Sunday, the 4th of December. Our network of world-class photography tutors, visiting for the Festival’s professional workshops, will work with the children to cover this iconic sporting event in a truly unique way. 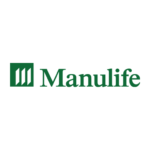 We are really excited by this new partnership with Manulife and we’re looking forward to seeing how the children interpret the event. We hope you will join us at the projection evening on the 4th of December where we will host an ‘Marathon Lenses– Marathon after party’ for marathon guests. It will culminate in a slideshow screening of the children’s coverage of the half marathon. 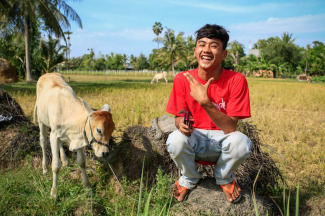 We’re teaming up with the First Kindness Festival Cambodia for an afternoon of fun and activities designed to appeal to the young and the young at heart. 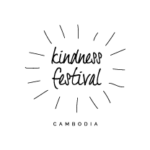 The First Kindness Festival Cambodia aims to uplift people through acts of kindness. It places a focus on art, music, yoga and dance to encourage compassion and positivity. In the evening the children share the images they have taken throughout the 10 days of Anjali workshops at the projection night on the 7th of December. We’d love for you to come and join in the Anjali fun and view the creative talents and unique perspectives of the children from Anjali House. Angkor Photo Festival and Workshops has an exciting new venue, our Festival Zone, thanks to Amansara Resort. You can find us next to Amansara, off Charles De Gaulle Blvd, near the river. We look forward to seeing you there!